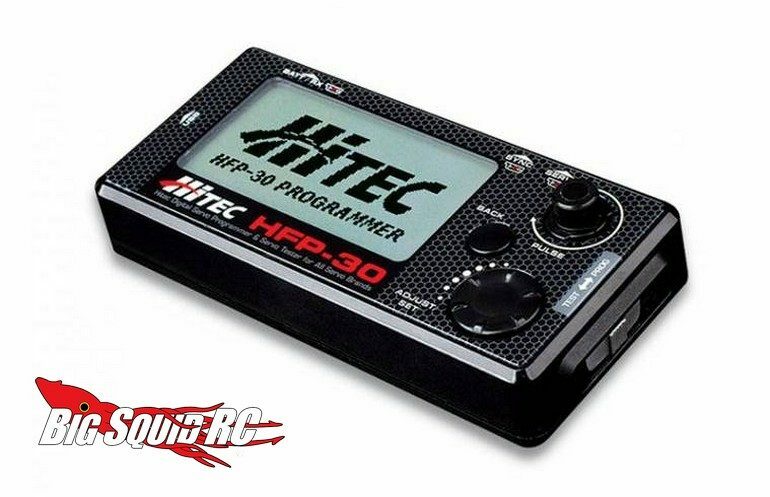 Hitec HFP-30 Digital Servo Programmer & Tester « Big Squid RC – RC Car and Truck News, Reviews, Videos, and More! Precisely dial-in your Hitec digital servos with Hitec’s new HFP-30 Servo Programmer & Tester. The HFP-30 has an easy to read LCD screen and the advanced features you are looking for to get the most out of your servos. Operating on 4.8 to 8.4 volts, the programmer/tester is priced at $79 and has a part number of #44427. Want to learn more? Follow This Link over to Hitec’s official website. Read More Hitec news on Big Squid.